My (Lisa’s) dear mother went home to be with the Lord on May 17, no longer in pain and suffering. As challenging and stretching as it was at times, we’re so thankful we got to care for her the last three years of her life. Ninety-three-year-old Ukki (Finnish for grandpa) continues to live with us in our in-law apartment. We’re so glad he’s not alone. The Anderson clan was blessed with two new little gifts from heaven: Goldie Bijoux (daughter of David & Bethany Engelhardt) and Evelyn Ruth (daughter of Jesse & Allison Sonneland). We now have nine wonderful grandchildren. We love having the Sonneland five in town, but miss seeing our East coast grandkids except on occasional visits. Half of our kids live east: David & Bethany Engelhardt (with Leon, Soli, & Goldie) live in New Jersey, where David works in NYC and Bethany homeschools the boys. Luke & Lauren Anderson are in Charlotte, North Carolina, where Luke continues to professionally drum and Lauren travels doing technical medical training. Lee & Julie Watson (with Margot) live in Charleston, South Carolina. Lee travels to China for two weeks twice a year for business, which is a good excuse for her to bring Margot home for a visit or for one of us to go there! Rachel is finishing her third year of living in Minneapolis. She just got certified as a nutritional therapy consultant and is ready to start her own practice. Thank goodness for Jim’s huge supply of frequent flyer miles saved up from all his ministry trips—it helps a ton in going to visit our kids or flying them home for vacations or holidays! The rest of us live in Spokane: Jesse & Allison Sonneland (with Eleanor, Josiah, Peter, Jocelyn, & Evie) continue to run their ever-expanding lawn care and landscaping business, lead the young adult ministry at church, and homeschool their children. Molly is in a relationship with Trebor that she is thrilled about, works two jobs, and is a great youth leader at church. Maggie continues as the youth administrator at church and as an assistant to an event planner, paints for a hobby, and just opened an ETSY shop for her art. James, our baby, graduated from high school and had the life-changing experience of spending 2 ½ months at Rolland and Heidi Baker’s discipleship school in Mozambique this fall. We’re so thankful for the past 26 years of God’s faithfulness to us since we started Lifeline Ministries. Jim continues to travel extensively in the U.S. and the world (this year to South Africa, Slovakia, & Ukraine), grateful for continued opened doors and favor. He’s once again taken up bow hunting as a needed hobby and outlet and frequently hits the archery practice range when he is home. He even got a deer this year! Lisa (me!) is in a multi-year journey of transitioning from a full nest to an increasingly more-empty nest. I administrate for our ministry and started a twice-monthly motherhood blog (lisaandersonnotjustamom.com) to give vision and encouragement to the next generation of mothers and homemakers. (The funny thing is that God chose to put this message on my life when it was the farthest thing from my natural leanings!) As bedrooms become empty, young adults are moving in to join us. We currently have a young man and woman from our church living with us. We love having children still at home (plus our additions) since it keeps us connected on a daily basis with the next generation. Jim & Lisa with Grandchildren + 2 more pics below! I have been able to smell and taste for the last month—things I haven’t been able to do for the past 20 years! (Fast approaching the need for a dreaded fourth sinus surgery to remove nasal polyps, I finally agreed to follow the advice of my daughter Rachel—who is completing a nutritional therapy program—to delete all wheat, dairy and sweets from my diet. That, and a lot of prayer, worked!) I feel like the little rat on the movie Ratatouille with an exquisite sense of smell that has fireworks of bright color going off all around him every time he smells something. When I hug a friend at church, I can now smell her perfume. I love all the scents in the candle aisle at TJ Maxx. When I open my bedroom door in the morning, the wonderful smells of coffee and breakfast cooking delight me. My food tastes delicious! I keep apologizing to my kids for making “wonderful smell” comments all day long, but I can’t help it. To smell is exhilarating! I can now relate a little bit to the blind, deaf, and lame people Jesus healed in the Bible. No wonder the lame man went about walking, leaping, and praising God—he had been lame since birth. Can you imagine the wonder of receiving your sight if you had never experienced it before? The whole world would be amazing to you. It’s funny, though, how we can easily take for granted the blessings we are used to experiencing. Jim has done extensive reading on the Holocaust. A story from one of his books described women in a Nazi concentration camp. As they lay talking on their crowded wooden bunks, emaciated from hunger, and battling sickness, lice, and fleas, they dreamt of being back in their homes with their families, being able to do simple things like wash dishes or dust once again. What had once been mundane became a wished-for dream now that it was denied. Different medical crises have left me incapacitated for weeks at a time in my adult life. Once, when I had finally gained enough strength to resume some of my household duties, I felt overwhelming joy and thankfulness that I had recovered enough to vacuum my house again. A job that used to feel like a dreaded chore had become a treasured privilege. I now understood some of what those women felt in that concentration camp. What does all this have to do with us as mothers? In the routine of life, our day-to-day responsibilities as mothers and homemakers can easily be viewed as drudgery. Instead of being thankful, we begin to view our calling as a prison sentence from which we would like to escape. Maybe we need to reign in our negative thoughts and cultivate an attitude of thankfulness for the great calling God has given us. Every job, no matter how important, has menial tasks assigned to it. That is where vision is so important. With God’s vision for our calling, we can see the dishes, diapers, sleep-interrupted nights, and mounds of laundry as part of the God-important job of being “keepers of the home”—a world-changing position of influence. It helps to realize that there are many women in the world who would love to live the life we are living. Some are waiting for husbands. Others are believing for the gift of children and family. And, compared to women living in the past (or in some impoverished countries of the world today) we are living in the lap of luxury. With our modern conveniences and appliances, we each have the equivalent of several servants or maids had by women of the past. We have so much for which to be thankful. In this special season, choose thankfulness. Your life will be so much better! PS: One thing for which I am thankful is the gift of our grandchildren, featured here. This picture was taken in August 2015 during our son’s wedding weekend. Missing from this photo, but pictured below, are our two youngest grandchildren: Goldie Engelhardt (left) and Evelyn (Evie) Sonneland (right). My wonderful mom went home to be with the Lord on May 17, 2016. I don’t think I’ve ever cried so many tears before in my life. In the midst of many thoughts and feelings in those early days after her death, I was primarily reminded of what is most important in life. Mom and Dad moved in to our in-law apartment in 2012. As I’ve said before, my selfishness was confronted in major ways as I adjusted to meeting so many of their needs. My time was greatly infringed upon. As Mom’s condition deteriorated, she required more and more of my time. She was bed-ridden the last 4 ½ months, and one of us needed to be home with her 24/7. That duty fell mainly to me, especially since Jim was in the midst of a busy ministry traveling season. Because of that, I had to lay down a lot of my agenda. I was constantly thinking: I want to go shopping. I want to meet a friend for coffee. I want to go here. I want to go there. Then I would have to remind myself that I could not freely come and go as I chose. In other words, I had to say, “No!” to self. Initially I chafed against that reality, but it became easier and easier as I realized that Mom would not be with us forever and that this was just for a season. When she finally went into the arms of Jesus, I realized how trivial my desires had been. Even though I was now free to do so, I no longer had a desire to go browse at my favorite store. Neither did the many services I had missed at church matter any longer. Everything paled in comparison to the knowledge that I had done what was important and had been there for my mom. I am very selfish by nature. Some people are naturally nice and “others-centered”, but I was always very “me” centered. That selfish nature was confronted in a major way when I married Jim. It got dealt with in greater measure when we had children. And it was whittled away even further as we cared, first, for Jim’s mom, and, now more recently, for my parents. As hard as it’s been, that has been a very good thing. One of the major ways our selfish nature gets put to death is by confronting the use of our time. That is one of the greatest challenges of motherhood: our time is no longer our own. Jesus, a supreme example of a life laid down, epitomized the surrender of time and personal agenda. Over and over again Jesus and His disciples tried to retreat after a demanding day of ministry, only to have the crowds ask for more. Ignoring the appeals of His disciples to turn the crowd away, Jesus would always receive the people and minister to their needs. This is all to say, dear mother, that the laying down of your time and agenda in the care of your children is very valuable in the eyes of God. Not only is it accomplishing the death of your flesh and making you more like Jesus, it is also causing you to focus on that which is truly important. All those other things you long to do can wait. (That is not to say you shouldn’t get breaks or be able to do things you enjoy! You need those things.) Remember, though, that this season of caring for your children will pass—it is only a season. Later, you will look back and be truly grateful for all the time you did spend with your kids. You will realize that you gave your life to that which is truly important. PS: Today I want to honor an amazing woman: Shelley Altmeyer. She is pictured here with her husband Randy and their two sons with their beautiful wives: Jonathan & Karissa (left) and Caleb & Sarah (right.) Ten days after their five-month wedding anniversary, Randy and Shelley were in a car accident that left her a quadriplegic with limited use of her hands. She defied the odds and later gave birth to her two boys. Due to God’s amazing grace and Shelley’s determined personality, she undertook their care. Her faithful prayers also helped bring Caleb out of a place of rebellion against God in his teenage years into a place of full-time ministry now. Far from allowing circumstances to make her full of self-pity and anger, she is full of joy and the love of God which she freely pours out on all those around her. We bless you, Shelley, and stand with you in faith as you continue to believe for the miracle of healing! Years ago I waited for a prophetic word as the guest speaker worked her way down the line of women. When she got to me she simply said, “ I see you as a large tree,” and moved on. Needless to say, I expected to hear much more than that! If it was going to be just one word, why wasn’t it at least a more exciting word such as hurricane, tidal wave, or lion? Anything but tree. However, I now see that word in a whole new light. The good news is that you, too, dear mother, can be a large tree. Let me explain. Since receiving that prophecy, I take notice whenever I see the word tree in Scripture. Daniel 4: 1-37 describes this tree: The tree grew large and strong, and its top touched the sky; it was visible to the ends of the earth. Its leaves were beautiful, its fruit abundant, and on it was food for all. Under it the beasts of the field found shelter, and the birds of the air lived in its branches; from it every creature was fed. Revelation 22:2 adds this thought about trees: On each side of the river stood the tree of life, bearing twelve crops of fruit, yielding its fruit every month. And the leaves of the tree are for the healing of the nations. Wow! Strength, prominence, beauty, worldwide visibility, abundant fruit, food for all, shelter, life, healing—all these words and phrases describe trees. In these descriptions of what trees supply, three things stand out: presence, provision, and peace. I also see those three qualities lived out in the life of the Proverbs 31 woman. Let’s examine these qualities in the context of our lives as mothers. The Proverbs 31 woman was very present in the life of her family and home. She wasn’t off doing her own thing and delegating from a distance, but was front-and-center in everything that happened in her household. I’m sure her family could count on her being there for them. A tree is an apt description of what it means to be a mom. Trees are stable, predictable, and visible; you always know right where to find them. Our 100-year-old home is surrounded by pine trees that have probably been there since the house was built. They are not going anywhere. That is a picture of stability, strength, and permanence. Our families need us to be that for them in a world that is constantly shifting and uncertain. Both trees and our Proverbs 31 sister exemplify provision. This model woman was constantly working to provide for the needs of her family whether that meant meals, clothing, or whatever. Nothing was lacking in her home. The trees in the above visions provided food for all and healing, not only to individuals, but also to entire nations. That is a significant contribution. And last, but not least, is the quality of peace. Beasts and birds found a safe haven in the environment of the tree—a place to rest and be refreshed, a safe place in which to let down. Provision (having our needs met) and presence (having a sure place in which to seek refuge) lead to peace. Our sister in Proverbs 31 looked so well to the needs of her family, that I’m sure they lived in peace. There was no chaos or uncertainty in her household. To the contrary, when our needs are not met and there is no safe place in which to run, out lives are filled with anxiety and fear. In all my years of sunbathing to get the perfect tan, I think I must have destroyed my internal thermometer. Now I can’t stand the sun or heat, and I always seek out a place in the shade. I have often thought of how hellish the world would be if God had not created trees. They are a magnificent part of His creation—but no more so than mothers. 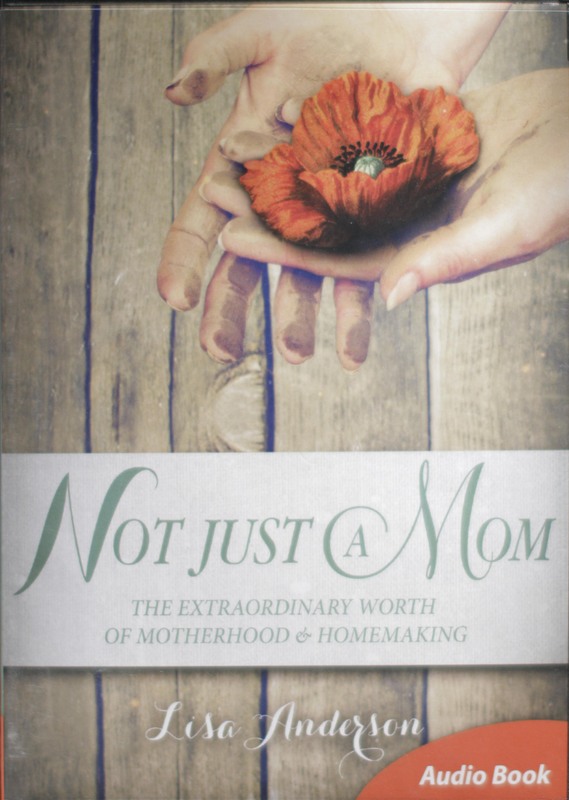 Don’t let the world tell you that being a mother and homemaker is not a worthy calling. Your faithfulness in being there for your family and providing for their needs is crucial. It affects not only your family members, but contributes greatly to the health and well-being of the church and our nation. As you meet the needs of your family, you may wake up one day and realize that many other people have been drawn to the shade of your tree to find sustenance, safety, and rest. What you are called to provide is invaluable. Keep going, dear mother. Your family (and the world) needs you! 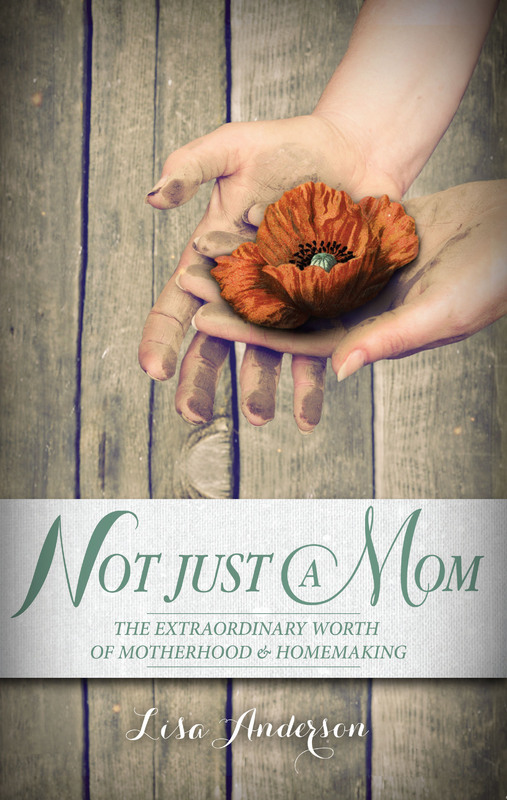 As the mother of eight children who has written two books on motherhood, I must be the perfect mom, right? Wrong! Let me list my failures: To begin with, I am not a “fun mom.” I don’t like games and was not very good about taking my kids on fun field trips when they were little. My idea of a park date was to take my kids to the local swimming pool for a very prescribed amount of time—one hour maximum—so I could then go home and get more practical things done. Birthday parties were never my forte, either. They stress me out, and I always gave a sigh of relief when my kids’ parties were over. I threw bare-bones parties with simple cakes, crepe paper streamers taped to the walls and ceiling, and lame games—definitely not like the parties hosted by my Martha Stewart-like daughter Allison. She throws themed parties with choo-choo-train cakes or handcrafted butterflies dancing from the ceiling. Not me! I also hate crafts. How can you be a good mom if you don’t like crafts? In my penchant for order, crafts always represented mess and chaos. I was also not the perfect homeschooling mom. I did not teach my kids Latin and Greek, and only a few of my older kids attempted to learn Spanish. To be honest, we rarely, if ever, did science experiments. Only when we discovered Apologia science later on did James, our youngest, finally do some experiments. It gets worse. Being 100% Finnish, I am not a touchy-feely person, and words of love and affection do not flow easily from me—definitely a poor quality if you want to be a good mom. But all those failures pale in comparison to my problem with anger. My parents let my strong, choleric personality go unchecked as I grew up. That surfaced in very unbecoming ways in our early marriage and in my first years as a mother. Thankfully, accepting the challenge to memorize Romans 6-8 at a conference accomplished a delivering work in my life. I realized that my outbursts of anger produced death, not life, to those around me. That truth helped break the power of anger in my life, and I can truly say that it no longer rules over me. I come from generations of dysfunction, abuse, divorce, addiction, and broken parent-child relationships (since broken parents raising children results in broken children.) I did not want to be married because of the divorce I had seen and experienced in my family. And because of the lack of mothering I had received and my lack of relationship with my mom, I didn’t think I would ever be a mom. Additionally, Jon and I were not free from the shame of our pasts—shame that came from our upbringing and choices we had made as young adults in relationships. Jim Anderson’s message of truth and restoration gave us keys to unlock that shame. God brought freedom and restoration to our lives that is now enabling us to raise our own family with wholeness and purity. The moral of my story is this: be you. None of us had perfect mothers, and none of us will be perfect mothers. You don’t have to meet up to some image of what a perfect mom is like. Don’t compare your weaknesses with the strengths of other moms. God chose you to be the mother of the children He gave you. God never intended you to meet all of their needs—only He can do that. Be the best “you” you can be. Be teachable and correctable before God, and let Him deal with your sin issues and weaknesses. When you fail ask forgiveness of your children. It’s so good for them to see you admit you were wrong and know that you are a sinner in process like everyone else. If there is generational brokenness in your family line, seek God’s healing and restoration. If He can heal Tamara and set her on a new path, He can do the same for you. God’s grace has been sufficient for me in my journey of motherhood. God’s grace will be sufficient for you, too. On Jim’s 45th birthday I surprised the whole family (including Jim) by announcing I was pregnant with our eighth child. Thinking everyone would be excited, I was totally shocked when Allison and Bethany, 15 and 13 at the time, burst into tears and ran out of the room. We discovered they felt ready to be done with car seats, strollers, and the limiting schedules of babies so we would have the freedom of friends who came from smaller families. Now we all laugh at their response since none of us can imagine life without James. Like all of our children, James is unique. He is artistic, creative, perceptive, a thinker, and a leader. From a very young age he declared he wants to be a movie director. As an eighteen-year-old, he already has his own production company and is honing his skills in videography and photography. He is also very passionate about God. We look forward to seeing all God will do in and through his life and believe he will be used, along with others, to influence the kingdom of God and the seven mountains of influence in society. Unfortunately, many world-changers like James have not been born because the lies of the enemy have taken root in society regarding children. We have been led to believe that children are a hindrance, burden, and liability, instead of the blessing, reward, and gift God declares them to be (Psalm 127: 3-5.) The Planned Parenthood philosophy is so entrenched in society that large families have quickly become a thing of the past. Our fertility is viewed as something to be feared and stopped instead of an awesome privilege and opportunity by which we can partner with God in the creation of new life. By prematurely closing our wombs, we have unknowingly suffered much loss. Many of the people God used in past revivals were later-born children: Charles Finney (the great evangelist of the 19th century) was a seventh-born child; John and Charles Wesley (influential revivalists of the 18th century) were the 14th and 17th children (!) of Suzanna Wesley; Jonathan Edwards (influential in America’s First Great Awakening) was the 11th of 11 children. Think how the purposes of God would have been thwarted in the earth had their parents believed the current view of children! Do I share this because I think everyone should have eight children? No. Jim and I together had faith to receive more of God’s blessing, but not everyone feels led to do so or is even able to do so. (My parents were only blessed with two children in 65 years of marriage even though they wanted a large family.) What is my motive? My goal is to open our eyes to see how much we have unthinkingly embraced the world’s viewpoint on this topic, even in the midst of wholeheartedly seeking God. It’s risky writing about issues such as this as it can seem uncaring and insensitive. How can Jim and I talk about the blessing of family and marriage when almost 50% of people have experienced divorce? How can I write about the blessing of children when many have suffered the pain of a miscarriage or have been unable to conceive? Or, what about those who unwittingly chose to close their wombs after two children and now regret that decision? Or, the women who have walked through the pain, tragedy, and deep sorrow of an abortion experience? Wouldn’t it be best to keep silent on this issue? That would be as absurd as saying we can’t talk about healing because so many people are sick. Instead, we need to proclaim the truth about God’s desire and ability to heal because that gives people hope. Similarly, in a world where the foundations have been destroyed (Psalm 11:3), it is needful that we talk about God’s truth in every arena. That means declaring that God is the one who can open wombs, heal broken hearts, and forgive past sin. It also means confronting the enemy’s lies and upholding the truth that children are a great blessing. One of the most common unsolicited comments we have received from older women is that they wish they would have had more children. In a season when they felt totally overwhelmed with the children they already had, they made a choice they now regret. In moments of self-reflection, they wish they had made a different decision. Again, one of the best gifts the older generation can give the next generation is to be honest about their mistakes. Having James is one of the best things we have ever done. Our lives and the world are a better place because of it. (The same is true of the children God has given you, whether those children were planned or unplanned.) That is one of the reasons I keep writing: may many, many more children like James be born into the world as God’s truth about children goes forth. I am for you, not against you! PS: Pictured above are our eight children. They are worth every night of disrupted sleep they caused us, the 300+ pounds I gained in my pregnancies, the frequent feelings of inadequacy I had in raising them, the days I felt stretched to my limits, and the clutter and noise with which they filled our home. They are our greatest treasure and joy, and in them we discovered part of God’s true riches. Each one is a special gift from God for which we are eternally grateful. As I lay in intensive care after lengthy brain surgery last May, two things spontaneously flowed out of my spirit. First came words of praise and adoration, thanking God over and over again for the gift of life. Second came a greater and greater burden for the message He has called me to carry: the blessing of children and the great worth of motherhood and homemaking. That burden resurfaces every time I encounter the “empowerment of women” message. Don’t get me wrong! I am not for the oppression of women that occurred in the past (and that currently exists in many cultures of the world.) Women should have the freedom to vote, get an education, utilize their gifts, handle their finances, and escape abusive husbands. The absence of those things is wrong. However, while early feminists rightly diagnosed the problems, I believe they came up with some wrong solutions—solutions that affect our thinking today. If you do a little research, you discover that many of the movers and shakers of the feminist movement were blatantly anti-God. The famous Susan B. Anthony (the face on the dollar coin) was a vocal proponent of the idea that women should be able to remain single and completely independent of men. Betty Friedan, author of the wildly popular book The Feminine Mystique, claimed that two things are necessary if women are to take their rightful place in the world: abortion and childcare. In other words, they totally eschewed marriage and motherhood, viewing them as roadblocks to women’s fulfillment. That’s what concerns me about the women’s empowerment movement. Women are encouraged to fulfill their dreams, but nowhere in the midst of that do I hear an affirmation of motherhood and homemaking. It’s like we’ve let the pendulum swing from one extreme to the other—from the abuse of women on one end to the empowerment of women on the other end—and missed the sweet place of the God-ordained design of a woman that, I believe, belongs right in the middle. In our rush to gain equality with men, we’ve run right past our God-given assignment as keepers of the home and had to step around our God-designed ability to bear and nurture children. Maybe that’s why Titus reminded the older women to encourage the younger women to love their husbands and children and be workers at home. Maybe that message needed to be emphasized in a world that tells young women to follow their dreams and callings, often at the expense of husband and children. Maybe instead of preaching the empowerment of women, we need to go back to the basics and teach a two-pronged message: 1) Husbands, love your wives as Christ loved the church. 2) Wives, love and serve your husbands and children. Maybe we’ve got our message all wrong. It’s possible that women have sought a place of power because the men in their lives have not cherished and loved them as God intended. Maybe we need to run from the pendulum swing and call everyone back to the place of balance and original God-given design right in the middle. I don’t have all the answers to this very complex topic and can’t begin to deal with all the related issues (What about single women? What about divorced women? etc) but I felt a need to get my thoughts out there before I take a break for the summer. May you be blessed as you seek that “sweet spot” of God-ordained life in the middle. P.S. Featured today are Patrick and Hope Farmer and one of their foster sons. In the midst of contending in faith for an open womb, they have taken in three precious sons. I am always touched by her online posts about her challenging journey in caring for them, such as the one posted after a day at the fair: “My favorite days are the ones when we can give the boys moments of pure joy. They walk with such heavy hearts because they have seen too much, been through too many horrible things, and taken responsibility for people who should have been caring for them. Today they had windows of time with no thoughts of anything but how exhilarating the ride was! The smiles and giggles on the bumper cars, the cotton-candy grins, the pure exhaustion on the car ride home…I hope they hold those moments in their hearts forever and that these memories push some of the yucky ones straight out of their heads! Sweet dreams, little ones.” We bless you, Patrick and Hope, pray for an outpouring of God’s grace to be upon you as you care for these boys,and stand in faith with you for an open womb! You will receive absolutely no encouragement from the world in your calling as a mother and homemaker. To the contrary, you will be ridiculed and made to feel like your calling is a waste of your education, talents, and abilities. Maggie, a young mom-friend of mine, was asked by her high school guidance counselor what she wanted to do with her life. Maggie declared, “I want to be a mom.” The counselor replied, “That’s not good enough. You have to pick something else.” That is the perspective of the world in which we live. You need the encouragement of older moms to be reminded that your calling is worthy of your life’s focus and is an instrumental and strategic position of influence. Older women have a “been there, done that” perspective that younger moms need. We’re past the labor-intensive part of motherhood and can give you hope and an “it’s all worth it” perspective. Scripture tells us that a woman forgets the pain of childbirth for the joy of a child once it is born. (I have to be honest, though, and tell you that I did remember James’ dramatic birth for quite some time.) I can truthfully say that I can’t even remember the hardships of early motherhood now for the joy of my grown children. They are just vague memories. It was all worth it. If you have small children, you are in the midst of a very demanding season of life. It’s easy to think that your current status will be the reality for the rest of your life. To borrow the title of a book, motherhood is a “long obedience in the same direction.” God chose to make human babies very needy. They are unlike baby sharks (which are self-sufficient at birth) or giraffe babies (which start walking two minutes after birth.) Our babies are totally dependent on us for survival and are needy of our time and attention for a number of years—all part of God’s design. In the midst of that long obedience, it’s hard to see a light at the end of the tunnel. You need encouragement and support as you walk through this season of life. Where there is no vision, people perish (Proverbs 29:18). That means they lose hope and want to give up. Young moms need envisioned older moms—women who are convinced of the value and worth of motherhood and homemaking—to give value and worth to the work of their hands. God-vision helps you see past the loads of laundry and dishes, sleepless nights, bone-weary exhaustion, and feelings of being overwhelmed. God-vision convinces you that all your work is instrumental in the plans and purposes of God. You are helping rebuild the foundational building block of society and the church—the family. You are part of God’s MO in the earth by raising up godly seed who will affect the seven mountains of influence in society and generations to come. Your sacrifice and steadfastness is precious in the sight of God, dear mom. Keep going. You are doing a good job! P.S. Rachel Naramore and her three adorable children are featured in today’s photo. Rachel and her husband Brandon are pastors at Rock of Roseville church in Roseville, California, where Rachel has used Not Just a Mom in various small groups to encourage moms. Her favorite blog of mine so far is “Holiness or Happiness?” where I briefly shared vulnerably about our marriage struggles. One of the greatest gifts we, as the older generation, can give the next generation, is honesty about our failures and weaknesses. That honesty frees those who come behind us to acknowledge their own failures and struggles. Be blessed, Brandon and Rachel!